Use of Semi Refined Cassia Gum Powder in Cosmetic Industry? How Semi Refined Cassia Gum Powder is Used in Cosmetic Industry? Cassia gum is a naturally occurring polymer comprising of at least 75% polysaccharide having mannose: galactose ratio of 5:1. It is derived from the endosperm of Cassia obtusifolia which is also known as Senna obtusifolia or Cassia tora. 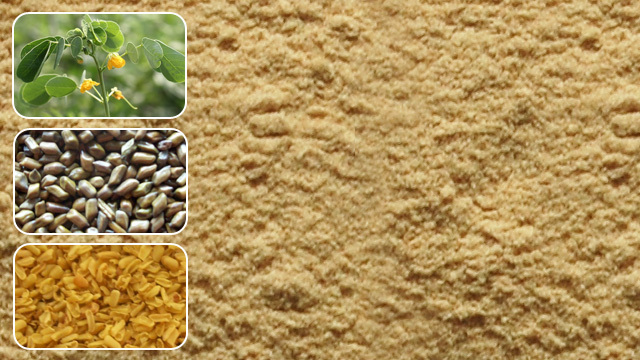 Cassia gum is extracted from Cassia tora seeds by using its solvent washed meal. The solvents generally used for the purpose are water or aqueous solutions at various temperature, reagent concentrations, etc. The solution is then extracted and it is made sure that the solution does not contain any insoluble or swollen particles and they do-not develop a haze on standing. The insoluble particle which forms the residual are removed by centrifuging or filtering. 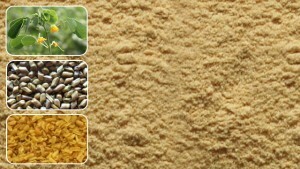 Cassia gum is used as an additive in food industry. It is used as a thickening agent, texturizer and for water retention aid in cheese-crème fillings in pastry and other cheese-crème desserts, meat and other poultry products. It also finds application in pet food and cattle feed products. The Semi-refined powder form of Cassia gum is used extensively in cosmetic industry. Cassia gum in its semi refined powder form enjoys immense application in cosmetic industry. It is used extensively as an ingredient for shampoos and conditioners, giving it a soft and smooth texture. The Cassia gum powder increase the viscosity thus making a thick paste like solution which can be easily applied to hair. This property of cassia gum powder helps in preventing over usage of the products and as a result less damage occurs to the hair. Since it is a colloid, it also protects the hair from other harmful chemicals which are present in the product by forming a thick protective film. It also finds application in creams and lotion. Acting as a thickening agent, it helps the cream and lotion to stay for longer duration in our skin. Cassia gum powder is also used in shaving gels. It acts as a gelling agent making the razor blade movements smooth in order to provide a clean and safe shave. Soaps has a tendency to dry-off your skin thus giving it a pale look. The addition of Cassia gum powder to the soaps enables the gel formation. The gel acts as a lubricant for the skin thus giving it a fresh and rejuvenated look. It is also extensively used in foundations and concealers as it helps retain them for a longer period of time. With an increasing affinity towards cosmetic products, companies are striving hard to make their products more viable for the users. The Cassia gum powder acts as a perfect antidote for the companies as its chemical properties helps in making these products more durable and user-friendly. While the researchers still pondering over its chemical properties, we can expect a lot of cosmetic products in the future using Cassia gum as an important ingredient.